Here are some updates from around the web, the first – and my favourite – is from “Catholic Online”, which in NO WAY holds a peurile, cliched and narrow minded approach to Goth and Bauhaus… but who is this “pewter Murphy” (sic)? In his work with the Goth-rock band Bauhaus, lead singer pewter Murphy [sic] would croon about various dark, troubling subjects. Ghosts, goblins, the dark recesses of the imagination were all grist for Murphy’s mill. His band is probably best known for the death disco classic, “Bela Lugosi’s Dead.” It seems that Murphy had a few dark, troubling personal issues as well. He’s been arrested for methamphetamine possession after a police chase in Los Angeles. Peter Murphy was arrested by the Glendale Police Department on March 16th and was originally charged with Driving Under the Influence Causing Injury as a felony. In addition, Mr. Murphy was charged with Hit & Run and Drug Possession as misdemeanours. The Glendale Police Department sought a bail deviation and bail was set at $500,000.00. However, the District Attorney’s Office filed a complaint in Glendale Superior Court charging Mr Murphy with misdemeanor DUI, Hit & Run and Drug Possession. Mr. Murphy’s lawyers from Hutton & Wilson entered a plea of not guilty to all charges and Mr. Murphy was released on his own recognizance. Just to clarify something after a couple of comments below and please read carefully. The amount of Alcohol in Peters Bloodstream was measured at 0.01 way under the 0.08 which is legal. This is the lowest amount of alcohol that is able to register on a breathalyser. We cannot say anything more right now as after pleading NOT guilty to all charges Peter now must say no more until this matter is resolved. Bauhaus lead singer Peter Murphy pleaded not guilty Tuesday to charges that he allegedly rear-ended a vehicle in Glendale and fled to Los Angeles, where an eyewitness blocked his Subaru until police arrived. Murphy, 55 — who did not appear in a Los Angeles County Superior Court on Tuesday — entered his plea via his attorney, Robert Wilson. Murphy is charged with three misdemeanor counts of driving under the influence of drugs or alcohol, hit-and-run driving and possessing methamphetamine, according to a Los Angeles County Superior Court criminal complaint. Murphy is best known for his lead vocals with the group Bauhaus, which recorded four albums and ignited the Goth rock movement. Judge Frederick Rotenberg allowed Murphy to be released on his own recognizance despite concern from the prosecution that the British native — who currently has a residence in Turkey — may be a flight risk. Rotenberg did bar Murphy from driving a vehicle “anywhere” and under “any condition” without the court’s permission. Wilson declined to comment on his client’s case, but said Murphy plans to go on tour. “We are going to take care of business,” Wilson said. Murphy is scheduled to kick off his North America and European tour April 22 in San Antonio, Texas. Rotenberg said keeping Murphy in custody would have disrupted commitments to numerous venues nationwide. Murphy found himself in hot water Saturday when the Subaru Forester he was driving allegedly struck a Mercedes about 11:48 a.m. in Glendale. Police say he then drove off and got onto the Ventura (134) Freeway. The driver of the Mercedes was able to write down Murphy’s license plate number before Glendale fire personnel hauled her away on a gurney, police said. Meanwhile, the driver of a pickup truck who reportedly witnessed the crash followed Murphy to Los Angeles, where he pulled in front of him, blocked his Subaru and called Glendale police. Glendale officers said Murphy appeared to be “very confused” at points and had difficulty recalling the day and time. Murphy denied drinking alcohol that day, adding that he had only taken his regular prescription pills for depression, according to police. He reportedly admitted to being involved in a traffic collision, telling officers he was jet-lagged from a recent flight, but he disputed that he had fled the scene, police said. Inside the Los Angeles police patrol car where Murphy had been detained, officers reported finding a small plastic bag, possibly of methamphetamine, police said. Murphy denied the bag belonged to him, but officers said they believed he was trying to discard it in the patrol car. At the time, his bail was set at $500,000 because officers considered him a flight risk. Best known for its greatest hit “Bela Lugosi’s Dead,” Bauhaus broke up in 1983, after which Murphy helped form Dalis Car and went on to record several solo albums. Murphy plans to perform Bauhaus songs during his “Mr. Moonlight” tour and in celebration of the band’s 35th anniversary. He is scheduled to return to court May 17 for a pretrial hearing. 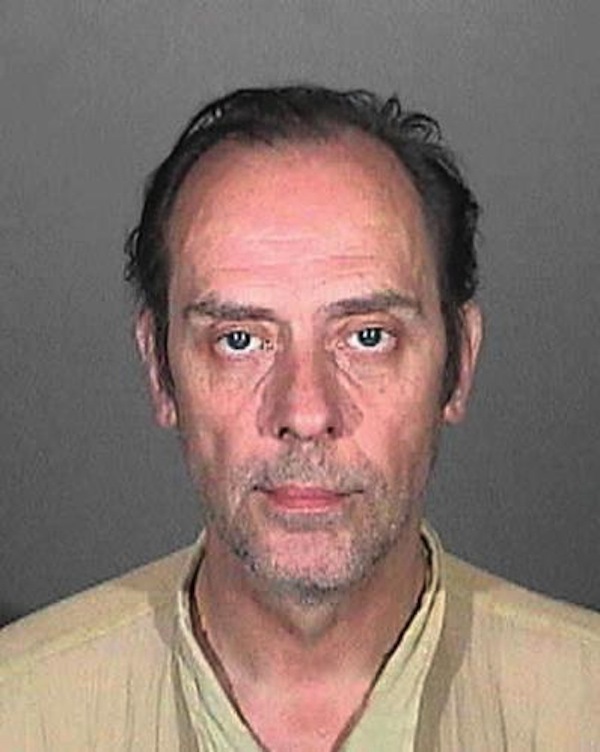 via Goth-rocker Peter Murphy pleads not guilty to hit-and-run, DUI, drug possession – Glendale News Press. PreviousNick Cave launches Spotify app – mood music extraordinaire!